Thank you for hosting!!! I linked up the page I will be keeping my progress and the official posting is scheduled for the 30th. Have a wonderful Holiday. Well, I wasn't perfect on my record-keeping in 2016 either, so I'm hoping 3rd times the charm! Neither was I so right there with you. Keep on swimming! 2017 will be my sixth year participating. I might not make 52 as I am going to the Renovare Institute, but I think that is fine! Glad you are diving back in and setting your own goal. I'm sure everything you learn at the institute will be a blessing and look forward to hearing about it. Haha! I looked at what I said, and I made 52 by August! LOL! I don't have a blog, so I'll link to this page in my GoodReads profile once the new year starts. This will be my first time participating. Welcome. So glad you decided to dive in. Goodreads is an excellent source. I'm on there somewhere as well as quite a few other participants. Robin, Merry Christmas and a blessed New Year to you and your family. Thank you and same to you! I'm excited to be participating for the first time. I have started a blog for the first time ever in the hopes that even if no one else reads it, it will give me space to stay accountable. Welcome beanie mom. Welcome to the challenge and also the world of blogging. You will discover a whole new world and have fun too. Will drop by soon! Hi Robin! I am joining again this year. Though I could not complete the challenge last time, I am hopeful that I can finish it this year :). Same to you and glad you are diving back in again! participating for first time , would like to be inspired to read more , and this challenge makes it simple by keeping it a book a week , the main challenge will be to keep it going for all the 52 weeks of the year. Happy Reading and Happy New year !! Hi!! I am joining this challenge for the first time and is pretty excited for this fun engagement things. Hi Mukul! Welcome. Glad you are joining in! Jaya, NKRawal, Ritika and Rakesh. Please repost links to your blogs. Links posted are missing info to you. Copy and past your url address from your blog or website. Thanks! Whoops, I think I got it now. Welcome and if you don't have blogs, leave a comment in each week's post about your reads. Ranada, please repost your link as it didn't work as well. Thanks! Looking forward to the new year and hoping to keep better track of my reading. ~cheers~ and best wishes for keeping better track. This is all new to me. It sounds like a lot of fun. I had a goal of reading 104 books this, but I think I only managed 78. I was slowed up by the Outlander series, which I read all the way through again for the second time. 52 books sounds doable. Ha! I read the whole outlander series this year too, so totally understand. :) Welcome! Hi Ramadasan. Welcome! Your link didn't work because you copied and pasted the 52 books url. Please let me know here what your blog url is and I'll add it. Hi I am Cecily. This will be my first time participating. Thanks for hosting this. Welcome Cecily. Cheers to a great reading new year! Hello! My name is Riley and I am so excited to be participating this year! I don't have a blog, so the link I provided is for my shelf for this challenge on Goodreads.com. Thanks, and good luck to everyone! Hi Riley and welcome. Goodreads works and you will find me there. Welcome Apoorva. Happy you decided to join in and look forward to hearing about your reads. Hello Robin! 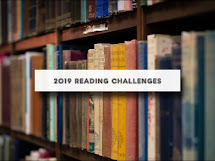 I'm in again... although I haven't yet posted my list of completed and planed reads, just the general post with all the reading challenges that I'm doing this year. Thanks for hosting this again! Hi, my name is Heather and I'll be participating this year. Very exciting! I hope I can follow through with this. My reading goal for this year is 150. I'll be posting on both my twitter and www.litsy.com/Pandareads37. I'm in. Sounds like fun and supports my desire to read more in 2017. Thanks for hosting! It's my first time here, taking up this challenge. Let's see where this takes me. Hello, I'm ayush here....I read about this site in the newspaper and found it quite interesting. So, I will be joining the challenge.I will be starting with Uncle Tom's Cabin. Hope I would able to complete the challenge. Hey! I really want to join the challenge.But I don't have a blog. Amazing, loving this - so inspirational. Here I am, late but participating. So glad to do this challenge again this year. Thanks so much for having me, Robin. You rock! BW52: 2016 is a wrap!